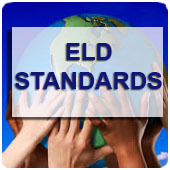 Looking for a tool to reflect upon your practice in regard to CA ELD Standards? Check out ELD Green Lights, Red Flags. 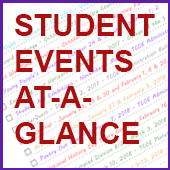 Please download your free copy of grade-level booklets to help you identify the many ways that the Units of Study in Reading and Writing support English language development. These booklets also offer ways teachers can adapt instruction in the Units of Study to make them even more helpful. 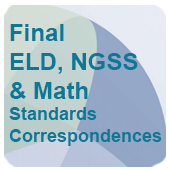 CA ELD STANDARDS-TCOE from Laura Gonzalez on Vimeo. The ELD Proficiency Continuum outlines the Proficiency Level Descriptors, and is intended to be used as a guide for teachers and curriculum developers to provide ELs w targeted instruction in English language development, as well as differentiated instruction in academic content areas. 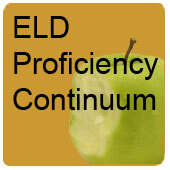 To find the ELD Proficiency Continuum (and other great ELD resources, simply click on the links you find here, or use the simple search box at the top of the page. 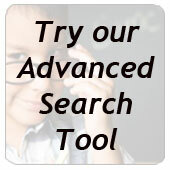 Click on the banner above to view the Language and Literacy Tool, designed by the Stanislaus County Office of Education. Project Core brings together an experienced consortium of educators and second language acquisition experts from San Diego State University, San Diego County Office of Education, and local school districts, to address the critical need to transition to (CCLAS) and prepare SDSU College of Education (COE) Faculty, pre-service and in-service teachers to provide English Learners in San Diego County, access and opportunity to achieve (CCLAS) and acquire 21st century skills.